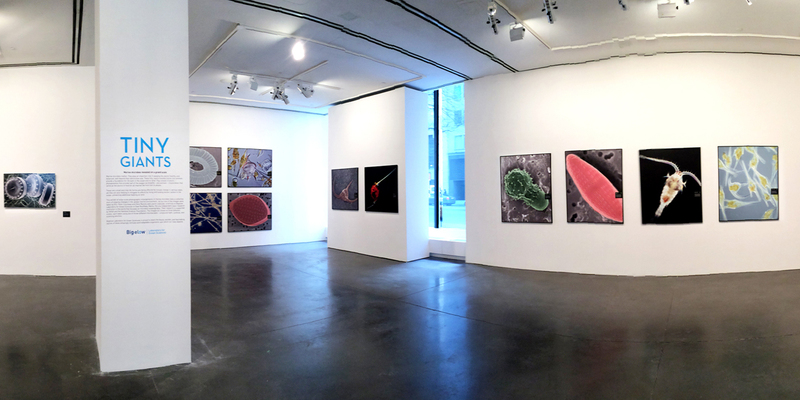 Starting May 15th the inspiring photography exhibit, Tiny Giants: Marine Microbes Revealed on a Grand Scale created by Bigelow Laboratory for Ocean Sciences, the only independent research laboratory in the world that focuses on microbial oceanography will come to Newport! We are proud to bring this important ocean focused exhibit to our hometown, working in partnership with the laboratory and Redwood Library & Athenaeum. 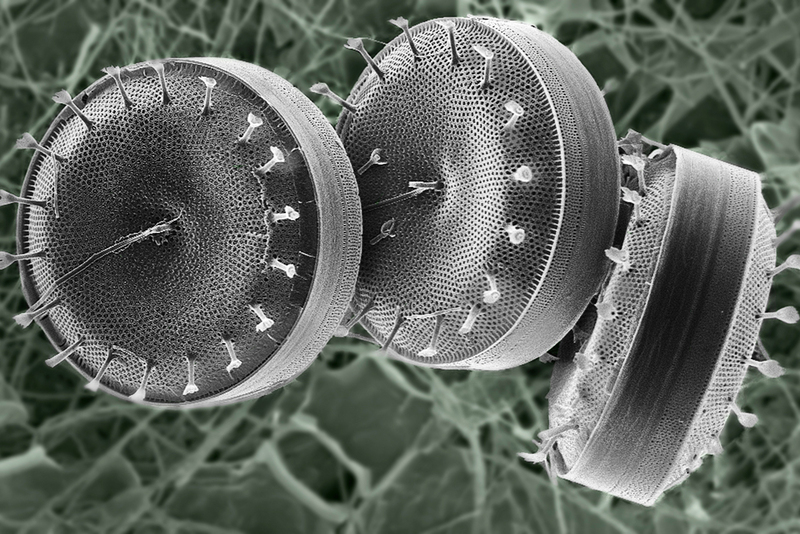 Marine microbes are tiny, but important creatures. They produce half the oxygen we breathe, serve as the source of food for all marine life from fish to whales, and are helping to mitigate the effects of climate change. They are vital to our very existence. We invite you to view the exquisite, intricate beauty of these invisible marine organisms that are brought to life in dramatic photographs. When: The exhibit will be on view from May 15 - June 19, 2016. Click here for more information on hours. Tickets are $10 for adults and free for children under 18 and can be purchased at the door. Later that night, the real party begins with Tiny Giants at Night: Science, Art & Cocktails! 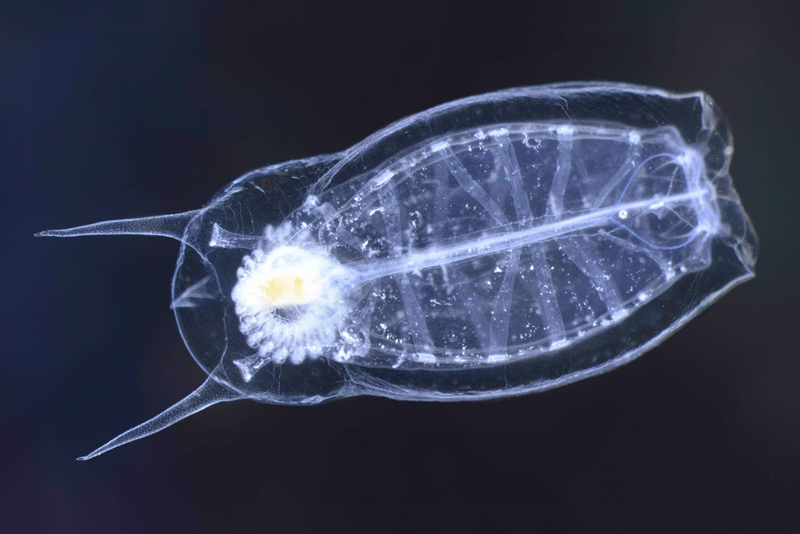 This exciting evening event in honor of World Oceans Day will feature a special opportunity to meet the scientists behind the Tiny Giants exhibit and learn from them about the many important contributions made by marine microbes to the planet. The scientists will also share how they made the photographs! Tickets are $30 and include exhibit, local brews, wines & spirits, and hors d'oeuvres. Visit http://bit.ly/tinygiantsatnight to purchase. Due to the size of the historic library, space is limited so purchase your tickets today!